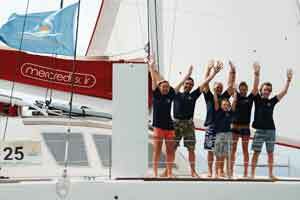 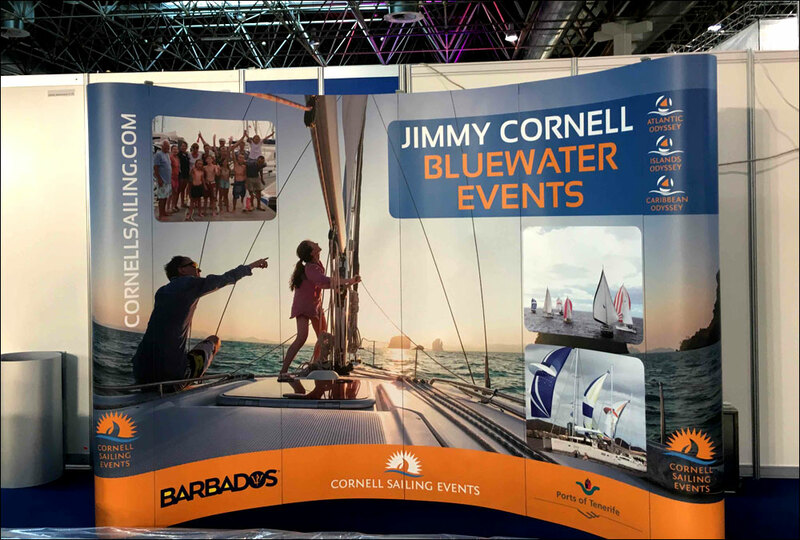 The biggest boat show in the world opened its doors on Saturday morning and the first of the estimated total of 250,000 visitors streamed into the vast exhibition’s 17 halls. 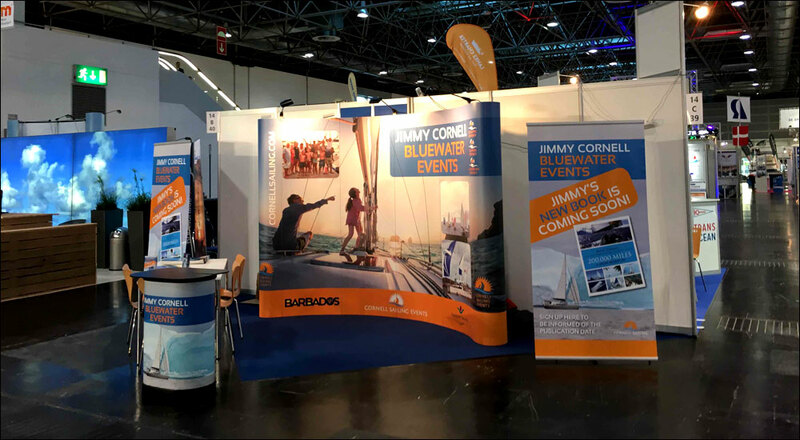 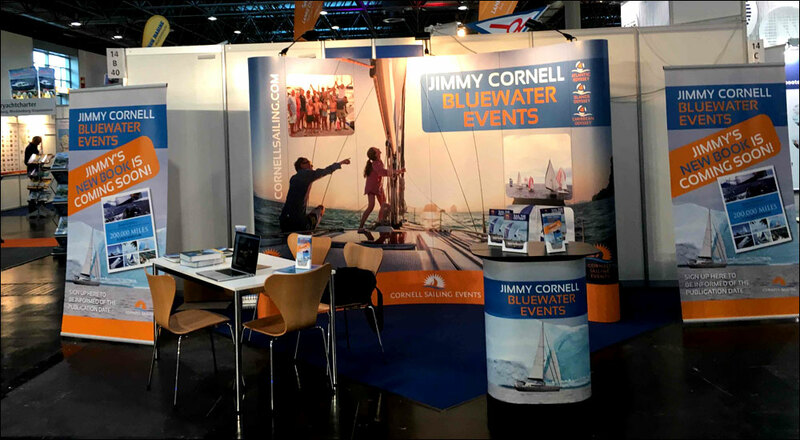 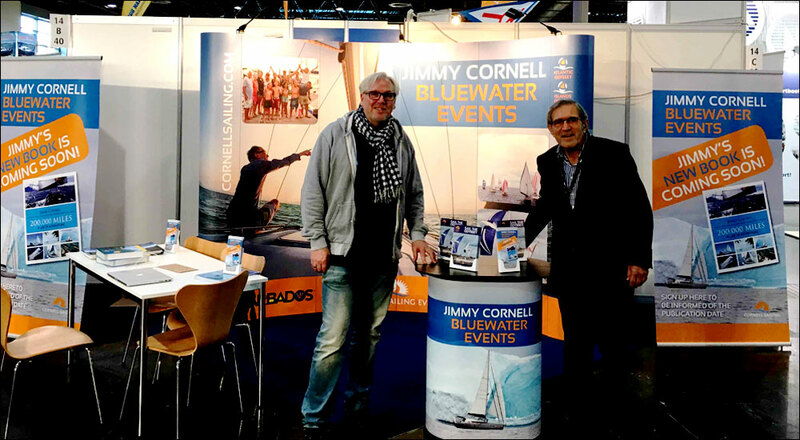 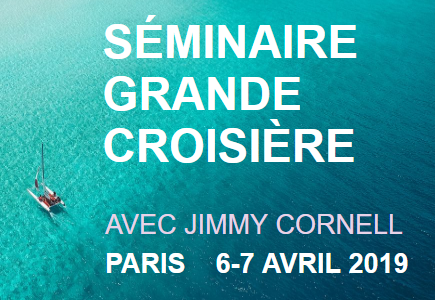 Once again Cornell Sailing Events has a stand in hall 14 (B74) and once again the design and layout of the stand was the work of Jörg Baginski. 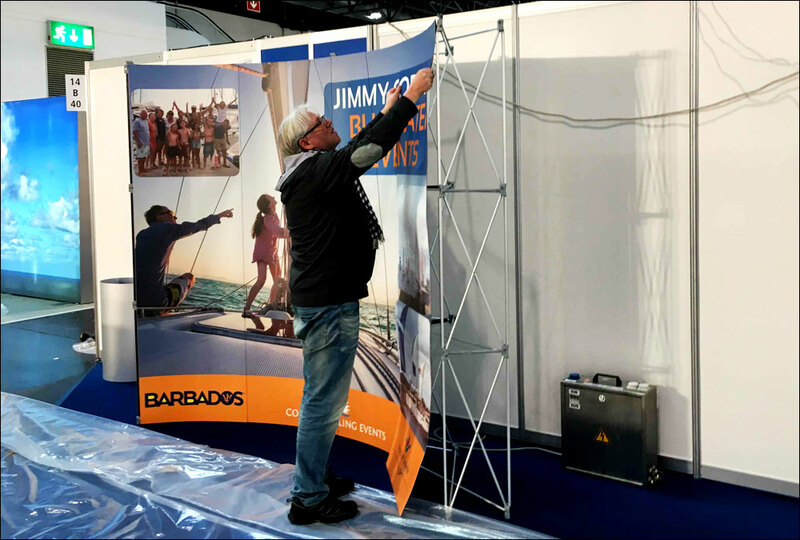 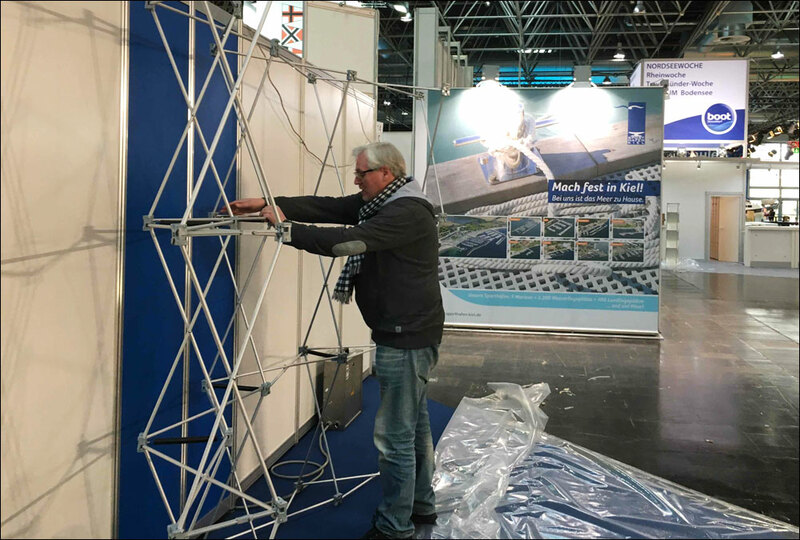 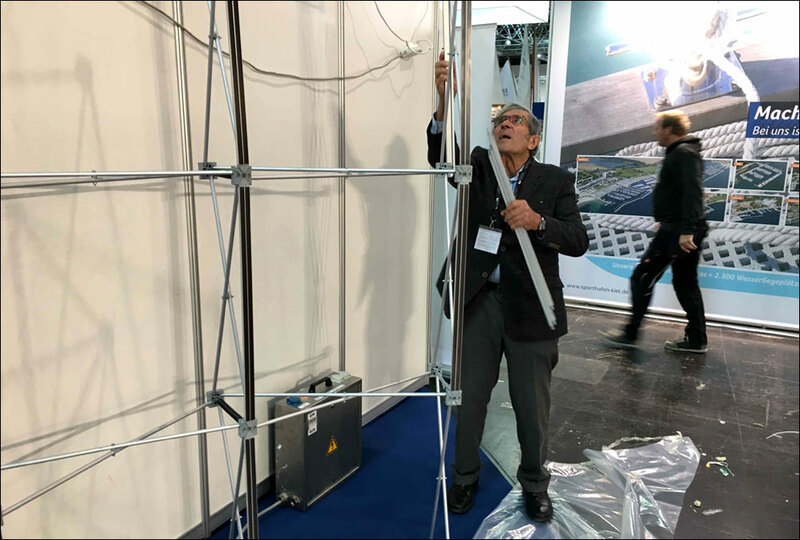 In the run up to the opening, Jörg had travelled from North Germany to Düsseldorf to help Jimmy Cornell set up the stand. 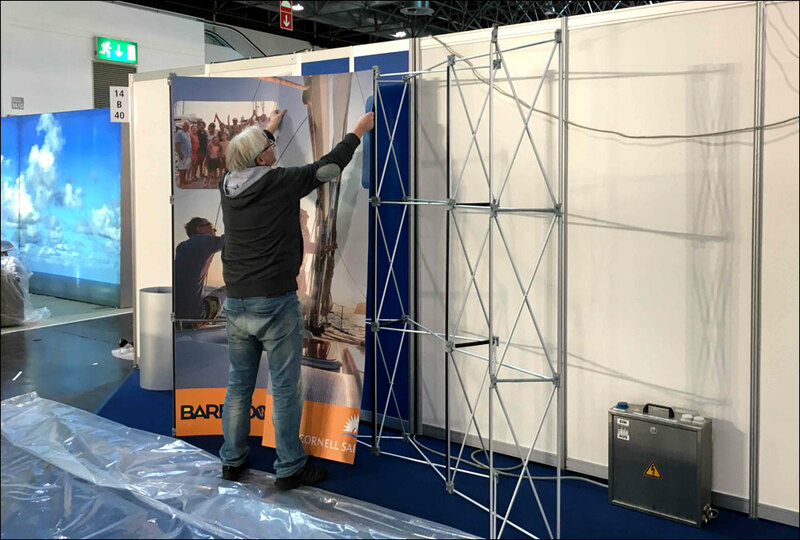 The functional framework was quickly erected and decorated with the display panels. 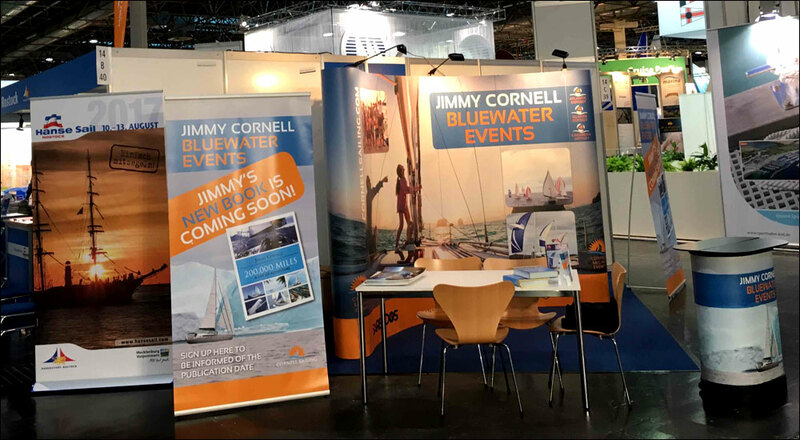 The stand is now finished and we are looking forward to meet the first visitors.